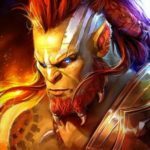 RAID: Shadow Legends continues to be among the top fantasy RPGs in the mobile gaming market for a variety of reasons and for the most part, the variability of gameplay strategies and character customizations players can delve into as they venture into the game stands at the core of its success. These, in turn, relates to wide array of characters available in the game and even though choosing from among them won’t be a problem early on as you will primarily have very limited choices, but as you regularly play the game and make further progress, you will eventually reach a point where choosing from among a broad roster of champions as to which one you should spend resources on and which ones to sacrifice becomes critical decision points. Before we proceed further with our RAID: Shadow Legends guide focusing on our top champions of choice, we want to clarify that this guide may very well be suitable from mid to end game although players totally new to RAID: Shadow Legends can still get a good read out of it. In any case, if you just started out playing the game and still familiarizing yourself with the game’s mechanics and features, then be sure to read our beginner’s guide first to secure a firm grasp of what you need to know to jumpstart your game. You can also learn additional tips and strategies from our advanced guide which focuses on tips and strategies related to earning experience and farming. RAID: Shadow Legends boasts more than 300 heroes, each with his or her own unique skills as well as stats that mostly determines their role on the battlefield. As the idea of choosing from among 300 heroes can be quite overwhelming, you should know early on that gathering heroes, even with best efforts won’t easily come to actually being able to secure them all. As heroes with common and uncommon rarity are also practically food for the growth of your more important heroes, we won’t be including any of them on our list. Rarities generally determine the overall strength of each champion and with that; legendary champions are typically more formidable or efficient in battle. However, champions under these rarities are very difficult to obtain and in some cases, select epic rarity heroes can outperform some of legendary ones. Though most champions under the rare group can be discarded following the acquisition of higher rarity ones, there are pretty decent characters that you can play with and invest heavily in as they can be very useful for a long time. As such, we narrowed down our best picks of champions considering rarity levels starting with the legendary top tiers down to the rare tier. Our first pick for what we consider among the best heroes under the legendary class is Baron from the Banner Lords faction. To start off, Baron has an Aura effect that increases the ATK values of the entire team by 33% across all battles. As an attacker, Baron is no doubt among the top of his class as his offensive skills has a chance to unlock the secret skill Skypiercer, which deals damage to all enemies while also ignoring Shield and Block Damage buffs. His skill, Split Asunder, has a guaranteed 60% Decrease DEF debuff for 2 turns on 1 enemy and this, in combination with Skypiercer, makes him a force to be reckoned with in the battlefield. As an attacker, it is best to equip Baron with an offense set and a critical rate subset to further boost his damage. Increasing Baron’s ATK values work well for all his skills, but it impacts Skypiercer the most as it deals damage to all enemies. Alternatively, you can also consider a speed set instead of the critical rate one. Septimus, also from the Banner Lords faction, is a usual fan-favorite attacker. He has an Aura skill that boosts the ATK values of all allies by 23% which is not as much as what you would get from Baron, but still a huge help. Septimus’ Behead skill can grant him an extra turn and reset the cooldown period of his other offensive skill, Holy Sword, if it kills the target. Holy Sword ignores Shield and Block Damage buffs and has an increased damage value based on the enemy’s MAX HP. Lastly, but definitely not the least, is Septomus’ passive skill, Giant Killer, which gives him a 30% chance to increase the duration of all debuffs on his target by 1 turn and also has increased damage value by 30% if the target’s HP is over 50%. While Septimus is an outstanding champion as far as offensive aspects go, his HP values which are a little subpar compared to other champions makes him a lot more prone to being the first to fall in battle. To increase his survivability, it would be best to equip him with a life set or lifesteal set instead of offense and boost his damage with a critical set instead. Speed is an attribute in any turn-based game that can easily turn the tide of battle in your favour the more you have it and with Lyssandra of the High elves faction in your team, you will have a greater chance of launching first strike in most battles. Lyssandra’s Aura skill provides a 24% increase too all allies’ SPD in all battles and it works well with her Energize skill which places an Increase SPD buff on all allies for 2 turns, puts an additional 30% turn meter for allies, and reduces 30% turn meter for all enemies. Exhaustion works great in both PvE and PvP as well as it can fully deplete the turn meter of an enemy. Her most basic skill, Transference, transfers all her debuffs onto an enemy unit and it is a great skill to have especially in PvP. The best equipment set for Lyssandra is the speed set and if you have the necessary gears you can equip 2 full speed sets. If not, you can settle for a life subset to boost Lyssandra’s survivability further. Bad-el-Kazar of the Undead Hordes faction is no doubt one of the best support characters in the game especially with the right gear. As a healer and debuffer, he can definitely boost the team’s survivability a lot with his Dark Sphere which deals damage to all enemies and heals his team by 20% of the damage dealt. As his Aura skill provides a 25% increase in his and the entire team’s critical rate in all battles, this can result in an increased damage value which ultimately heals more for all allies. Malice removes debuffs from allies, puts 2 15% Continuous Heal for 2 turns, and also places 2 5% Poison debuffs on all enemies for 2 turns. As his passive skill, Prey Upon, increases all allies’ damage values by 15% on poisoned enemies, you can work around a poison-themed squad to get the most out of him. Regardless of banking on poison or not, he is a definite must-have if you are lucky enough to summon him from the portal. As you would want to work around Bad-el-Kazar’s Dark Sphere above everything else in his arsenal, you would want to increase his damage to also get the most out of its lifesteal effect for everyone. As such, you should fit him with an offense set as well as a critical set to further augment his Aura skill. Ogryn Tribes’ Ignatius, although best for defensive plays, can be considered as an excellent all-around champion. You would naturally want to build around his high DEF values and most of his skills complement that. The 25% DEF bonus his Aura skill provides for the team is a great help across all game modes. Although it initially takes 5 turns to become available, Battle Shout’s 50% chance to cause Provoke on all enemies gives Ignatius a good edge for being any team’s dedicated tank. Skull Rattle’s stun ability, although only 15% at level one, will be a big help for your team especially when it reaches max level. Turn to Ash is also a good debuff to have as it comes with a 75% chance to cause HP Burn on enemies for 2 turns. On top of having high DEF values, the amount of damage Ignatious’ skills deal are all based on his Defense so putting in as much stat values on DEF doesn’t just make him tougher, but it also makes him more powerful. There are no better sets for him than to push for more defense. Knight-Errant may be at his best on dungeon battles due to his DEF buff aura but even across other game modes his overall capacity is still top-tier within the ranks of epic champions. His first skill, Half-Sword, which constantly ignores 30% of the enemy’s defense also has a 30% chance of putting a Leech debuff on his target. Mordhau is an equally potent skill with a 60% chance to stun an enemy, even for just 1 turn. Killing an enemy with this skill resets all of Knight-Errants skill cooldown periods and that is a pretty advantageous skill effect. Death Warrant can cast Weaken on an enemy for 2 turns with a 25% chance and almost does double damage when Knight-Errant’s HP is full. An attack-based champion that causes a variety of debuffs on an enemy is good to have on any team, and if you manage to acquire Knight-Errant in your draws, you shouldn’t hesitate to invest in him. The most basic damage boosters like offense and critical rate are the best sets for Knight-Errant even if you are exclusively using him for dungeons. Considering a variety of other sets, there are no close second options. Tayrel of the High Elves faction is a highly potent defender and debuffer across all game modes. His 25% DEF boosting aura makes him a great pick if you need a huge defense boost for your team. Humble is a skill that strikes 2 enemies with a 40% chance of cutting down attack values in half for 2 full turns, making him a great disabler for the enemy team’s damage dealers. Singing Steel, though takes longer to activate, deals damage to all enemies and has a 75% chance of cutting down defense values by 60%. Already impressive as it is, enemies who have a Decrease ATK debuff on them will be placed on Sleep status for 1 turn as well if the Decrease DEF hits. Tayrel also has a Preemptive Strike skill which can reduce an enemy’s turn meter by half and if it causes an enemy’s turn meter to fully deplete, that opponent will be stunned for 2 turns. Tayrel is a definite choice for team slots for defense and control and should be aptly invested in as he will provide to be an asset even up to endgame battles and challenges. As his attacks are based on DEF values, a defense set would be your priority on Tayrel. Feel free to chip in an Accuracy subset to further boost chances of hitting enemies with his skills. Zargala is the type of champion that can be groomed differently to suit your preferences and if you have her in your roster, there are plenty of points to consider before you begin working on her.Zargala, most basic skill, Tear Apart, may not seem much with a 50% chance to weaken an enemy unit by 25% but her third skill, Crack Armor, which attacks all enemies 3 times and has a 50% chance of placing a 60% Decrease DEF debuff on all enemies for 2 turns after the first hit. While this is an awesome skill on its own, Zargala’s second skill, Devastate, can automatically activate Crack Armor if it hits and kills an enemy. If all these isn’t enough to astound you, she also has an aura that boosts allies’ accuracy by 40 across all battles. Although Zargala’s build seems to scream for you to equip her with an offense set, she has a good enough level of defense and HP as well. As such, it will also be great option to consider pushing for more survivability by throwing in a lifesteal set for her combined with offense. Nazana of the Demonspawn faction is somewhat unique in that her abilities rely on two different stat attributes. Although damages from her 2 offensive skills rely on ATK values, what actually makes her a great champion is her second skill, Unholy Contract. Unholy Contract buffs allies with a 50% Ally Protection for 2 turns and also places a Shield buff on Nazana herself for 2 turns. As the shields value depends on her maximum HP. Nazana doesn’t have aura skills but the protection that Unholy Contract provides more than makes up for it. Nazana’s Steel Breaker skill adds to her value too as it targets all enemies and has a 50% chance to cut down ATK values by half for 2 turns. This champion is someone you would want to take across a lot of game modes and if built correctly, will be a definite asset in your team. The best way to utilize Nazana is to build around her Unholy Contract skill. As such your priority, in terms of gear, should be a life set. As you would want to cast Unholy Contract as soon as you can as well, you can equip her with a speed in combination with the life set. Don’t pay attention to dealing low damage since Nazana’s offensive skills rely on her ATK values. Unholy Contract and the debuff effect of Steel Breaker is all you will need from her. Gorgorab is perhaps one of the best support champions in the game and can really present a highly noticeable impact on any team he becomes a part of. His first skill, Misfortune, has a 50% chance of removing a random buff from an enemy. If that’s not impressive on its own, Resurge fills up the whole team’s turn meter by 15%, which may not seem much on its own, but coupled with 50% attack boost for 2 full turns makes for quite an awesome buff. His top skill is Animate, which revives an ally with 25% HP then heals the whole party by another 25% HP. All these skills make Golgorab an incredible champion on all game modes outside the arena. As Golgorab’s aura ability boosts the team’s SPD by 23% in the arena, he will probably be a top tier candidate for leader in it as you would want nothing more than to bank on fiving him more speed. You would want to add more speed to Golgorab to activate Animate as fast as you can. In combination with a speed set, lifesteal would be a great choice to prolong his stay in battle and increase his survivability. In any case, speed will be your top priority for sets followed by anything to make him stay longer in battle. Packed with an aura that grants a 21% DEF boost in dungeons, Apothecary is an exceptional support champion to use from early to mid-game even outside dungeons. Considering rarity, Apothercary has decent enough skills that can sufficiently aid his teammates in combat. His second skill, Soothing Chant, can heal one ally by 35% of his or her health and the same can cause critical heal. His third skill, Boon of Speed, is another plus as it can boost the speed of all allies by 30% for 2 turns and also fills up their turn meter by 15%. His primary skill though is okay for being a triple attack although you won’t really be banking on his attack values as you build him up. What you would want for Apothecary is a little more speed to activate his second and third skills more often. As you would want to keep him in battle a lot longer as well, putting on a defense set on him works well too. As an above average damage dealer under his rarity class, Galek stands out with an aura that can boost the party’s HP by 15%. He’s a great starter champion choice and can greatly help you through the initial battles and challenges you encounter as you progress through the game. Cross Slash as a primary skill may not be impressive with its double attack, but his 2 other offensive abilities more than make up for it. Galek’s Hellraiser skill not aonly deals damage to all enemies with a 15% chance for a critical hit, it also gives him a 30% speed boost for 2 turns. His third skill, Cursed Blade, attacks 4 times at random and comes with a 30% chance to reduce the enemy’s defense value by 30%. Additionally, enemies with 3 or more debuffs will lose 60% defense instead of 30% when struck by this skill. As Galek’s skills and build point to his high attack values, an offense set is your top gear choice form him to do maximum damage. You can toss in a critical set to further boost his damage but a lifesteal set will be the set of choice if you want him to be around longer. Another great team speed booster, Diabolist of the Demonspawn faction is packed with buffs and a debuff that can make your team work all the faster. Although Torment, as a first skill, won’t impress much with a mere 10% chance of putting an enemy to sleep for a turn, her other skills focusing on hastening things up is what makes her a great team player. Electric Storm is an attack that damages all enemies, but more importantly, it increases the speed of all allies by 30%. It’s already a great skill on its own but combined with Positive Charge, which is a skill that boosts allies’ turn meters by 15% and reduces the opponents’ turn meters by 15%, both these skills make her a good choice to fill in a support slot for any team. Speed is most definitely the top choice for sets on Diabolist as you would want to further augment her skills and activate her speed buffs and debuff faster in each battle. There won’t be much point to increase her offensive stats, so a shield set or life set would work well on her to try and keep her in battle till the end. Not just great for dungeons, the Knight Revenant faction’s Guardian is a good tank and support champion that can help you through a lot of challenging battles across all game modes. To start off, the 27% HP boost he can give to the team with his aura ability that works in dungeons as a good boost. Guardian’s primary skill, Chop, has a 50% chance of cutting down the duration of an enemy’s buff by 2 turns and as mostly everyone has buffs and most buffs only stand for two turns, it’s almost an automatic buff cancel when the 50% chance hits. As Guardian Kinght seems to hate the idea of enemy buffs, he also has a skill called Thunderclap which is comprised of 4 random attacks each packed with a 30% chance of blocking buffs on an enemy for 2 turns. As a cherry on top, Guardian’s third skill, Prayer, gives him 3 buffs: a Block Debuff, Counterattack, and Continuous Heal all for 2 turns. Life or lifesteal are both commendable sets on Guardian to boost his survivability. Depending on your need, you can chip in a set for accuracy to raise hit percentage or further toughen him up with a defense set. Kael of the Dark Elves faction is a highly commendable rare champion that utilizes poison status effect on top of team buffs he can dish out. Kael comes with an aura effect that can boost the HP of all allies by 15% across all battles. Dark Bolt is a decent primary skill with an 80% chance to place a 2.5% poison status on an enemy for 2 turns. Acid Rain can damage all enemies with an additional 15% chance of inflicting critical hit and for every enemy Kael eliminates with this skill, an additional 25% of his turn meter is replenished. His third skill, Disintegrate, is also a poison-based skill where each one of the 4 random attacks has a 40% chance of placing a 5% poison status on an enemy for 2 turns. As his skills are based on his ATK values, an offense set will be your priority for Kael. Depending on your preference and play style, you can go with a critical set as well if you want to go on the offensive and further boost his damage values, or slap on some lifesteal on him for increased survivability. It was definitely a challenge to sift through each hero to determine the really exceptional ones from each rarity level and finalize our list. Truth be told, there are still plenty of heroes that come to mind and as much as we want to represent all factions as much as we can, some factions currently just don’t hold heroes that we can recommend to be at par with what we listed above. 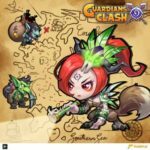 In any case, it’s possible that champions in RAID: Shadow Legends will be tinkered with at some point in future updates and some may be upgraded while others may be nerfed. As of the current version which is version 1.5.6, we are confident that our picks are mostly, if not entirely, agreeable with by players who have been fortunate enough to obtain and use them. We hope our list has been helpful to you and that your team considerations, moving forward, will be influenced by it. In case you have suggestions as to which heroes ought to be added to an extended list, feel free to share your views in the comment area below! Hi, im just new, has been playing for 1 week 30lv now. Need some advice from you regarding the hero i got to build arena team and campaign team. hope you can reply my email. thank you.